This essay is the first of a three part series that delineates how the advanced degreed, highly credentialed PhD professionals of the world have significantly contributed to its relentless destruction. Certainly you get the picture. Not only is it not a pretty one, it is only getting uglier by the day in each respective sphere of life. A Doctor of Philosophy (PhD) is an advanced degree conferred upon those graduate students who have satisfactorily completed an advanced academic curriculum within a university setting, which has been accredited by an empowered certifying institution to award a doctorate. The advanced degree is usually awarded to an individual who has submitted a dissertation on a rather narrow topic within his/her field of research or study. By doing so, he/she becomes an expert of sorts in that particular niche of inquiry, research and/or experimentation. Herein lies just one of the potential problems that sets up many of these folks up for failure … … … for life! For the purposes of this exposition, we will only focus on the PhD that is awarded in the progressive ‘hard’ sciences. Our focus is particularly on those highly specialized scientific disciplines which provide the academic and theoretical basis for the various industrial and energy paradigms that predominate throughout the world. The profoundly flawed energy paradigms are especially illustrative of so many fundamental and critical defects which are perpetuated by the scientific class at the behest of their corporate and governmental paymasters. The entire process of acquiring an advanced degree reveals the inherent problems of PhDhood. As each of these serious problems is systematically unpacked, it becomes quickly apparent how the PhDs are wrecking the world at an alarming rate. Truly, as a class of working professionals in research and academia, industry and business, government and corporate, they have greatly contributed to the ongoing and literal collapse of post-modern civilization. And they don’t even know it! There is perhaps no better example of how the PhDs wrecked the world than the current nuclear energy paradigm which is consistently utilized by the nuclear nations. The science of nuclear physics, as well as all the applied nuclear technology disciplines that undergird the nuclear power industry, are still in their infancy. Actually, even the Albert Einsteins and Enrico Fermis were way out of their league when they assisted in the development of the atomic bomb. And yet, the governments and corporations of the world chose to proceed with building completely unsafe and unsound nuclear power plants that were ticking time bombs from day one. This could only have happened with the direct and active involvement of countless PhDs in all of the related field. 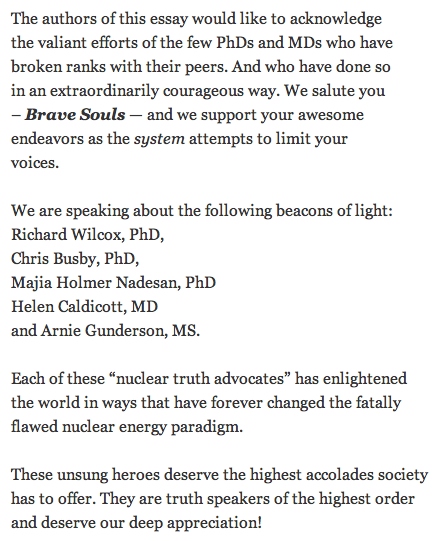 The design, engineering, construction and operation of so many inherently flawed nuclear power plants across the planet could only have occurred with the blessing and approval of these nuclear PhDs. The 55 plus nuclear plants scattered around the four large islands of Japan got there with a lot of PhD brainpower justifying their building and placement. How could this happen?! What’s the point? Actually there are many. Every PhD associated with the Japanese nuclear power industry should have known that the very design of those reactors was set up for failure. We’re not talking about the well publicized GE corporate failures. We’re referring to the much more basic design and engineering failures that every PhD should have been acutely aware of; unless, of course, their post doctoral curriculums neglected to educate them in the application of common sense. This total failure of academia and research does graphically display how the human faculty of reason has fled from most of the venerated institutions of higher learning around the globe. Isn’t it just common sense that the awesome wear and tear alone, that a nuclear reactor is subjected to 24/7, will eventually set it up for massive failure. And what about the disposal of nuclear waste. How is that being dealt with?! and many other locations around the world that never made the front pages. 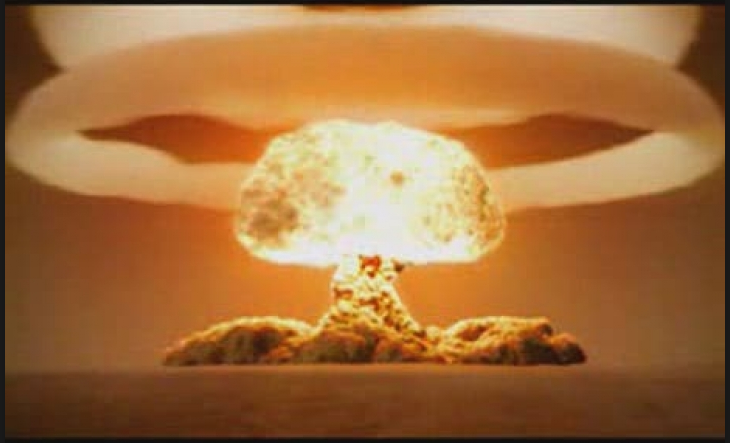 We are left with festering nuclear time bombs, some of which have no viable solutions. 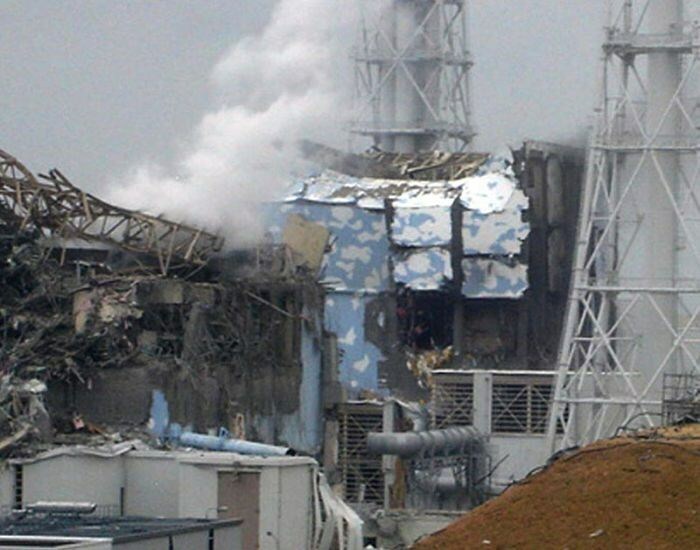 Fukushima and Chernobyl in particular portray an ineptitude and lack of intellectual integrity that is extremely shocking. They also reflect quite poorly on the thousands of PhDs who allowed these catastrophes to happen … by their contributions, by their collective silence, by their lack of making sound and obvious recommendations, by their going with the flow, by their CYA attitudes, etc. Then there’s the matter of indiscriminate testing of nuclear weaponry. This particular realm of research and experimentation by nuclear physicists completely defies all sense of morality, reason, ethics, logic and, yes, once again, common sense. The following essay clearly delineates where all the participating PhDs not only fell down on the job, they blew up the whole building … without even knowing it! If this photo does not speak volumes about the calamitous effects related to reckless nuclear weapon ‘testing’, then mere words are impotent in describing what really happens in the wake of such atomic explosions. If you still don’t get it after reading that exposé, then perhaps you might read on. The Geoengineeering Paradigm is where they (the PhDs) are really wrecking the world — in real time! 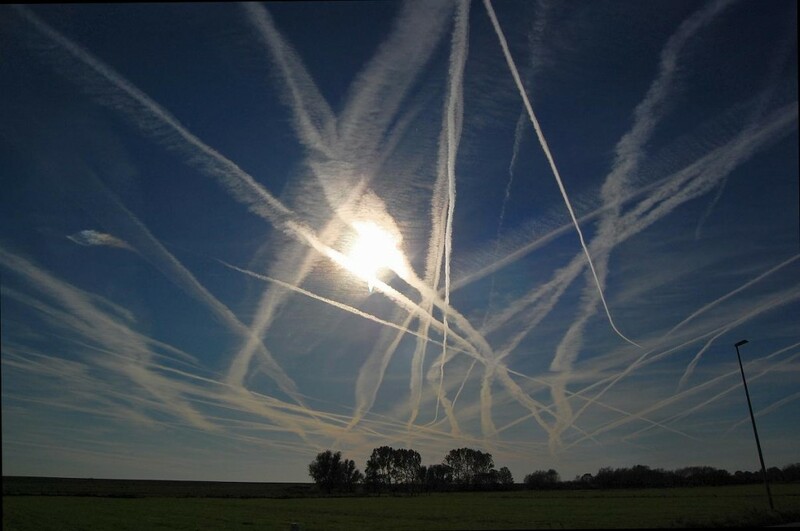 Just in case the reader may not be aware of geoengineering, or one of it main pillars — CHEMTRAILS — the following photo-documentary will quickly acquaint you with this subject. The following pictures capture what is taking place in the skies throughout the world 24/7. These are actual photos of chemtrails that were laid down by special airliners equipped with sophisticated aerosolization apparatus designed to spray uniquely formulated, toxic, chemical formulations. Can you believe that the Geoengineering PhDs throughout the world actually believe that dumping humongous volumes of specially formulated chemical cocktails is going to slow down Global Warming, or speed up ‘Global Cooling’ … or arrest Global Climate Change? Clearly, the men and women PhDs who populate the rather rarefied realm of geoengineering don’t have a clue. If they do, and some very well may, they are probably getting paid ungodly sums of money to keep their mouths shut, and their keyboards quiet. How they rationalize their passivity and lack of intellectual integrity in the face of a full-blown planetary enviro meltdown — both literally and figuratively — is anyone’s guess. It is very important to point out that most of these same “Doctors of Philosophy” will not even admit to the existence of chemtrails. 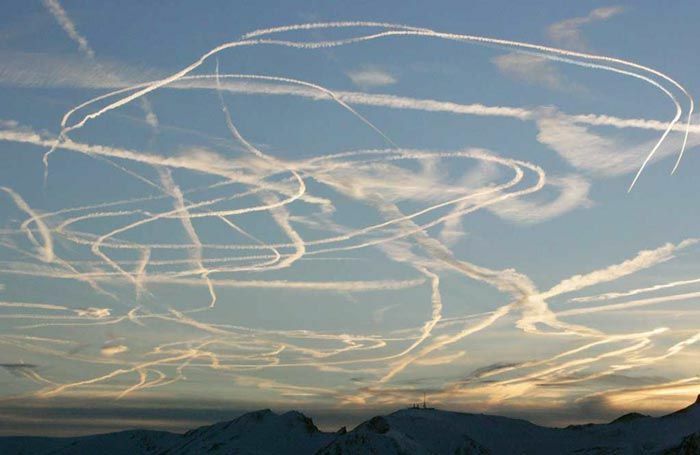 Some, you cannot even get to look at a chemtrail photo without them calling the presenter a ‘conspiracy theorist’. Yes, there is certainly a conspiracy. And it represents the worst kind of Conspiracy of Silence under the sun. You know – the SUN – that once ever-present luminary that used to shine its rays all over the earth; that is, before the blue skies were covered up by the now ubiquitous chemtrails. This is where the PhD Geoengineers have really gotten themselves into trouble. When a mere child can tell the difference between a CONtrail and a CHEMtrail, the PhDs have completely backed themselves into the proverbial corner. What are they going to do now?! Will they persist in telling the BIG lie, repeating it incessantly, disseminating it how ever they can, while supporting the fabrication they helped create. How many university PhDs, research PhDs, government scientists PhDs, high level corporate scientist PhDs, meteorology PhDs, geoengineering PhDs etc. have persisted in repeating this contrived falsehood over many years? To call an obvious chemtrail a contrail is more than an insult to our intelligence; it also represents their complicity in an ongoing chemical assault against the people of the world. Is this the legacy that all the Geoengineer PhDs want to leave behind? Do they really want to be a party to the destruction of the planet and the slow-motion killing of human and animal life? How did these Geoengineer PhDs get us into this mess? Very easily … because it’s the way the whole system is set up. The whole PhD track is set up from the very beginning to corral every graduate into a pen of political correctness. If geoengineering and chemtrails are cool, then the PhDs better say they’re cool. Or else! Let’s take a much closer look at this system that has been meticulously put into place over many decades. You know that it all revolves around funding. No funding, no research. No funding, no publishing of costly experiment findings. No government grants, no targeted research papers published for political purposes. No corporate sponsorships of university chairmanships, no special research papers written for the corporate overlord. No corporate donations for new university buildings, less space in which to grow. At the end of the day, the less funding that is available to the geoengineering departments, the less esteem with which those academic programs are held. As for the starving Geoengineering PhD candidate with hundreds of thousands of dollars due in the form of school loans; no scholarship or grant or government loan, no PhD. Also, no food on the table and roof over the head. It does appear that for those who get into this field for the money or the glory, eventually the golden handcuffs will imprison them in a penitentiary bereft of true academic excellence and intellectual integrity. Intellectual Integrity: Exactly what is that? It is what is lacking, especially in the field of geoengineering. The lack of it allows a Geoengineer PhD to produce research and write peer-reviewed papers that he/she knows are without merit. The research projects are set up from the get go to produce a specific outcome. And everything about the research guidelines and parameters are set up to ensure that result, which are fixed in favor of a fatally flawed paradigm like geoengineering. When intellectual integrity is so lacking, these PhDs will just about say or do anything to protect their untenable positions. They will falsify data. They will lie outright. They will shade the truth to bolster their indefensible thesis or tenuous perspective. They will employ sophistry to the max. They will mislead the public, and misinform the government. They will deceive, dupe, delude, dissemble, and defraud to win the day. In short, they have become masters in the art and science of deploying weapons of mass misrepresentation. To answer the question another way, these geoengineers are without an iota of intellectual integrity. Or else how could they so wantonly and recklesslessly participate in the devastation of this plane of existence? 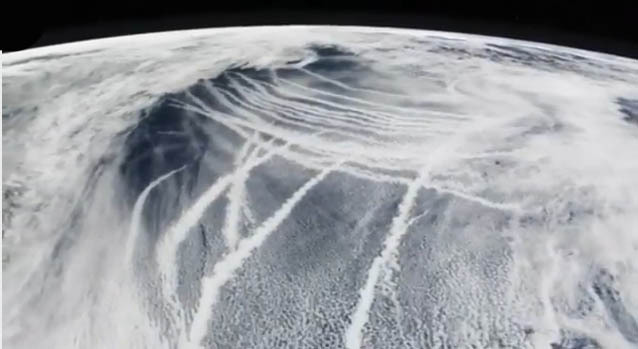 Remember, the whole geoengineering initiative started with a lie. 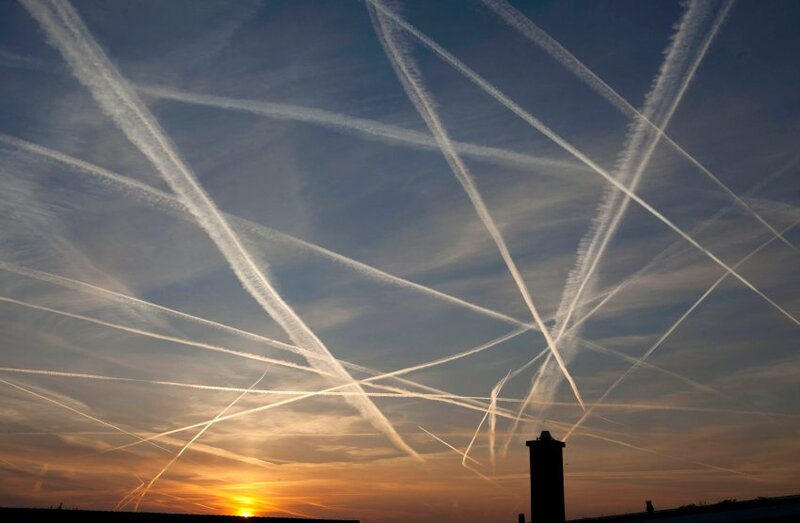 That lie is that there are only contrails in the sky, not chemtrails. Chemtrails don’t exist, except in the minds of ‘conspiracy theorist’. And all the while, it is the geoengineers themselves who are actively involved in maintaining one of the biggest known conspiracies in world history. Perhaps the BIGGEST, as nothing else really compares to it. 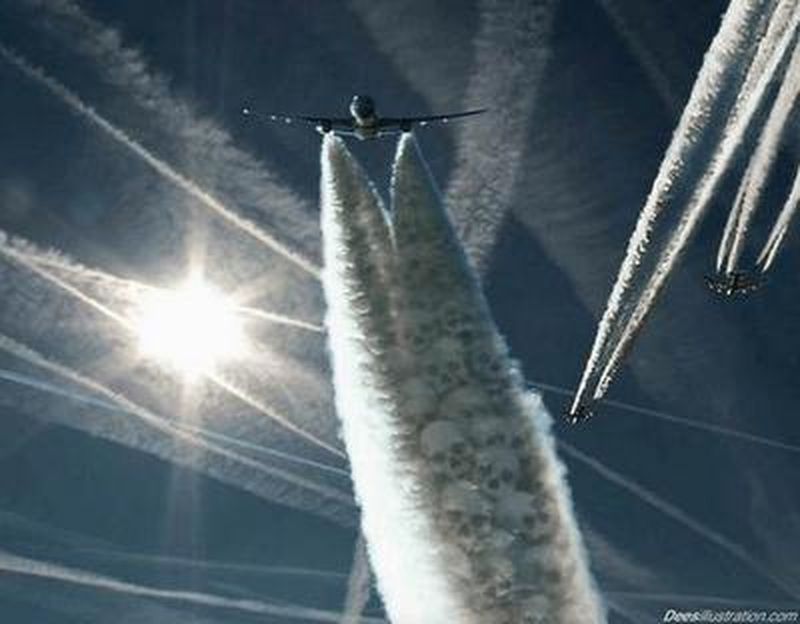 Yes, chemtrails represent the biggest coverup and conspiracy in history. How do you spell: M A S T E Rs of M I S R E P R E S E N T A T I O N ? Just what kinds of planetary blowback are we talking about? Have you noticed anything weird about the weather lately? Clearly the weather patterns around the globe — the entire globe — have gone bezerk, and they’re not settling down. Here’s one of the latest headlines from London. 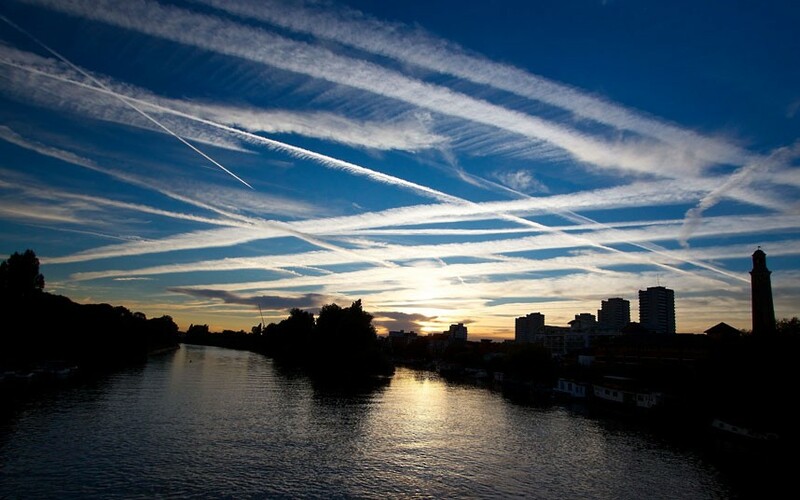 Ironically, it is the City of London which is ultimately responsible for providing the sourcing for much of the financial wherewithal that supports geoengineering programs the world over. There have been so many unpredictable and violent weather events, both manufactured by geoengineers and spontaneously created by Mother Nature, that the current state of affairs has become the new normal. Which is really highly abnormal. Even the real, natural events are exacerbated by geoengineering policy and techniques gone awry. This is either by design, or by accident, or both. Regardless, the basic ingredients are now continually put into place which all but guarantee extremely erratic weather patterns worldwide. Perfect storms are now received as though they are expected and usual. Back-to-back 500 year droughts and 1000 year floods are occurring within the same decades. It is the emerging climatological patterns that are the most concerning. When droughts and deluges can jump off at any moment, the agricultural output for a fast-growing world population becomes a serious issue. Clearly, the Geoengineers PhDs have refused to examine the many unintended consequences, collateral damage, and toxic side effects that chemtrails and HAARP continue to generate across the planet. When the history books are written about the 21st century, they will be filled with instances of the gross misuse of scientific knowledge and abuse of applied technology. 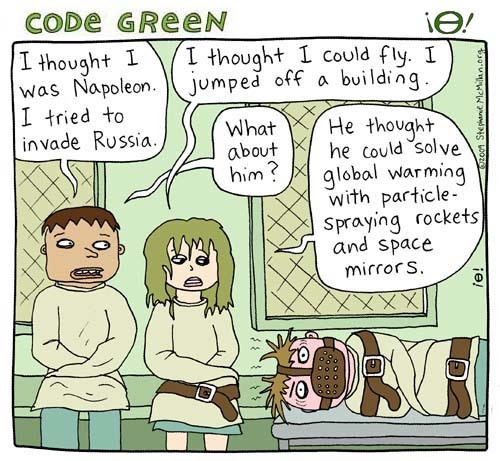 Geoengineering gone awry will certainly fill chapters, if the history is accurately portrayed. Surely, the willful blindness and feigned ignorance among the intelligensia constitute the greatest threats to civilization. When the participating PhDs of the world blithely give their imprimatur to such an immature and highly underdeveloped atmospheric engineering paradigm, the end is near. For it is only by their involvement, from the nascent phase of geoengineering technology to the current implementation of chemtrailing over every continental land mass, that humanity finds itself in such a challenging and dire predicament. If every meteorologist in the USA stepped up to the plate and called a chemtrail a chemtrail, the world would change overnight. Those weather men and women can no longer predict with any accuracy whatsoever. They have nothing to lose by laying bare the effects of chemtrails on their local weather. Every weather station is now daily proven wrong as their forecasts lie in tatters because of how impossible it is to predict future weather events in a thoroughly chemtrailed world. Perhaps we ought to start with those Meteorology PhDs and credentialed meteorologists. They can help the whole of humanity free itself from the ongoing scourge of chemtrails by unifying and spreading the truth that they know with brutal reality. Their every day is turned upside down because of how the geoengineers persist in interfering with local weather whenever they send out the chemtrail jets. PhDs in any academic discipline are often specialists in their field of research and study. As such, they unconsciously develop a very myopic view of their science or art, as well as of life in general. This is the inevitable result for those who analyze and scrutinize, investigate and research with a very narrow focus. The intellect is all about compartmentalizing in such a way that other aspects of the human psyche can atrophy when there is no balance. Because of this eventuality, PhDs (not all, but many) are notorious for experiencing cognitive dissonance and dismissing it. They remove anything from their headset that is at odds with their rather small and rigid view of the world around them. This is precisely why so many are involved with the systematic “wrecking of the world”. They actually perform their role in this tragedy unwittingly, in most cases. Of course, when financial or reputation-enhancing incentives are thrown into the mix, their tendency to ignore the evidence, especially anecdotal, can become intensified. A seat on the board or editor position at the peer-reviewed professional journal are far too attractive for many a PhD ego to turn down. Preferential treatment for grants alone serves as an irresistible temptation for many on that track. Inasmuch as there are very few things that a lifelong geoengineer can do as an occupation, were they to be kicked off the reservation, it is crucial to comprehend the pressures they can operate under. When the field of research/study is so specialized, what else can a Geoengineer PhD do in the world when they are unceremoniously relieved of their duties? There is one very important aspect regarding the Geoengineer PhD process that demands attention. 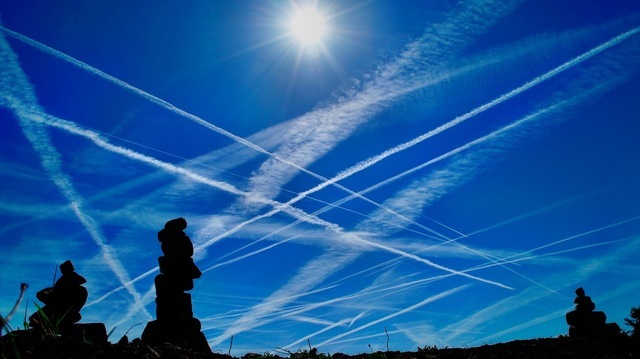 The nascent and narrow niche sciences like geoengineering are run like an exclusive club. Not just anyone can get in. A prospective Geoengineer PhD or post doctoral candidate must qualify, but not in the usual way. They must demonstrate that they will be a real team player. And that they will never leave the reservation, because if they do …. The geoengineering club managers make sure through the ‘application’ process that only those who take orders well will be admitted. The vetting process alone is not too unlike joining the CIA or NSA or Naval Intelligence. Therefore, one can imagine how difficult life can be for a geoengineer who happens to find their conscience mid-career. They wake up one day and stumble across the underbelly of this highly controlled and manipulated discipline and realize that they cannot leave, unless they want an early ‘retirement’. Even then they might still owe the system the rest of their natural life, however that plays out. The point is that sometimes good people do find themselves in these kinds of situations. They experience a dark night of the soul and wake up to their unfortunate circumstance. And they want out because they know that their occupation serves an agenda that is fraught with danger and does harm to others … LOTs of others. We hope that these folks will muster up the courage to leave the reservation without fear. The people of the world are becoming aware very quickly of these ongoing chemical assaults from above. Perhaps we are not far from a critical mass of individuals necessary to terminate these geoengineering programs once and for all. If you’re a Geoengineer PhD, you just may want to think long and hard about being a part of the solution instead of the problem. After all, you do possess a doctorate, and doctors are supposed to heal and provide a cure. Above all, doctors are admonished to “do no harm”.